commercial and recreational district. 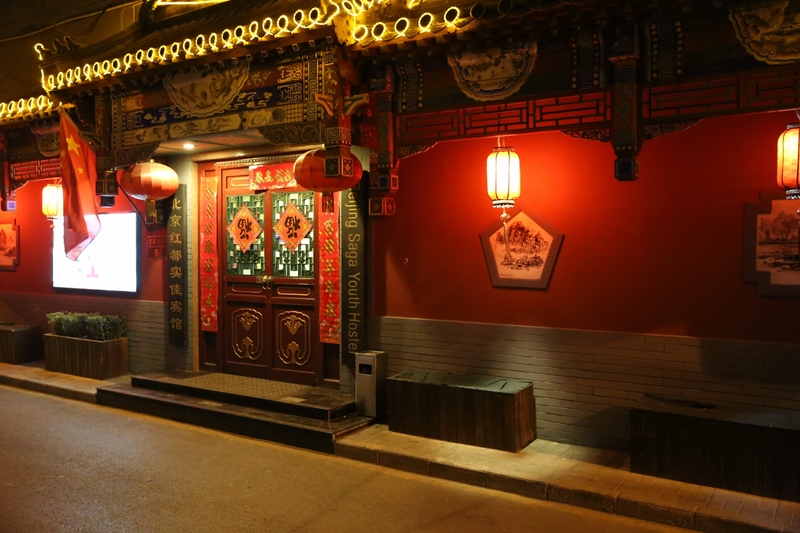 Around our hostel are the traditional Beijing coutyards, you can look deeply into the life of local people and have a drink in the Beer Garden on the roof of our hostel with a nice view of the traditional courtyard and Hutong (alleyways). It's within walking distance to Central Railway Station, Wangfujing Street, Tian'anmen Square, Forbidden City, and the airport shuttle bus station. 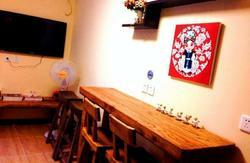 We are recommended by Lonely Planet China and Lonely Planet Beijing. How to go to our hostel from the Capital Airport? Take taxi is about 1 hour which costs about CNY120. Take the subway is about 50 minutes which costs CNY27. Take the shuttle bus is CNY25. The subway line is: take the Airport Express Line turn the Line2 at Dongzhimen, then turn Line 5 at Yonghegong to Dengshikou and get off. Get out from the subway, is the Dongdan Bei Dajie, walk north about 20 meters, is the Shijiahutong on your right, we are in the No.9 Shijiahutong, you probably will be able to walk 10 minutes to find our hostel. 1.By Bus: you can take public bus No.24 or bus No.674 to Lumicang(ç¦„ç±³ä»“), when you get off the bus walk ahead about 30 meters to across the street, then turn right and about three minutes walk look for the hostel sign with an arrow pointing down one of the hutongs(å²å®¶èƒ¡åŒ) on the left side. 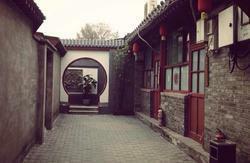 Walk into the hutong about 1 minute, we are on your right. 2.By Taxi: If you take a taxi, it cost around 15 yuan. 1. By Shuttle Bus: you can take the airport shuttle bus(line 3) to Beijing Central Railway Station(åŒ—äº¬ç«™) or Beijing International Hotel(åŒ—äº¬å›½é™…é¥­åº—), then follow the information above, take bus 24/674. 2. By Subway: take the Subway, get off at Dengshikou Station(ç¯å¸‚å£),Line 5. Take exit 'A' and turn Left. When you get to Shijia Hutong(å²å®¶èƒ¡åŒ) keep walking down the alley for about 10 minutes and you'll get to Saga Youth Hostel. 3. By Taxi: If you take a taxi, it cost around 100 yuan. You call us at any time: 8610-65272773, we can tell the driver our address. 1.By Bus: you can take public bus No.52/9 to Beijing Central Railway Station. Then follow the information above, take bus 24/674. 2. By Subway: take the Subway from Beijing West Station(åŒ—äº¬è¥¿ç«™), get off at Dengshikou Station(ç¯å¸‚å£),Line 5. Take exit 'A' and turn Left. When you get to Shijia Hutong(å²å®¶èƒ¡åŒ) keep walking down the alley for about 10 minutes and you'll get to Saga Youth Hostel. 3. By Taxi: If you take a taxi, it cost around 40 yuan. You call us at any time: 8610-65272773, we can tell the driver our address. 1. By Subway: take the Subway from Beijing South Station(åŒ—äº¬å—ç«™), get off at Dengshikou Station(ç¯å¸‚å£),Line 5. Take exit 'A' and turn Left. When you get to Shijia Hutong(å²å®¶èƒ¡åŒ) keep walking down the alley for about 10 minutes and you'll get to Saga Youth Hostel. 2. By Taxi: If you take a taxi, it cost around 40 yuan. You call us at any time: 8610-65272773, we can tell the driver our address. 1. By Subway: take the Subway from Xizhimen Station(è¥¿ç›´é—¨), get off at Dengshikou Station(ç¯å¸‚å£),Line 5. Take exit 'A' and turn Left. When you get to Shijia Hutong(å²å®¶èƒ¡åŒ) keep walking down the alley for about 10 minutes and you'll get to Saga Youth Hostel. 2. By Taxi: If you take a taxi, it cost around 30 yuan.